Mushrooms have managed to becomes slightly famous. In part due to..well..the drug version of course. Then the type that you run into to make Mario grow. Actually, they are both pretty similar. This mushroom doesn’t look like a cheap plastic mushroom though, with this you can pretend to be chic and modern. When in reality you just love it because of the hours you’ve spent chasing mushrooms just to make you a little taller. Hopefully in virtual form only. People look at you strange when you start chasing after mushrooms in the woods, because you think they’ll make you grow. 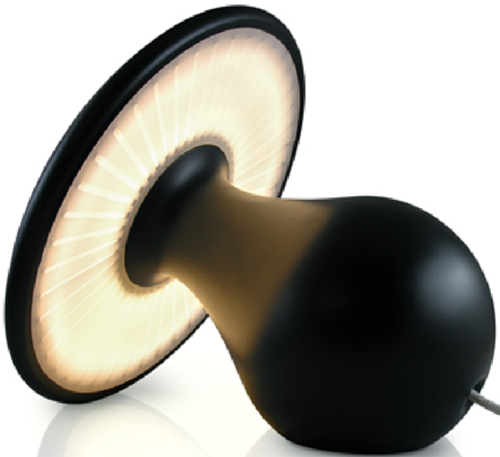 This pretty designer lamp comes in white as well as black. Sorry no brightly colored ones with white polka dots. This color makes it blend in with grown up décor, which eventually it’s probably best to make the switch towards. You can purchase the lamp for $1,750 AUD or about $1,543 USD. So you’re going to have to be a very well off Mario addict.